Guardians of the Galaxy hit theaters this past weekend to rave reviews. 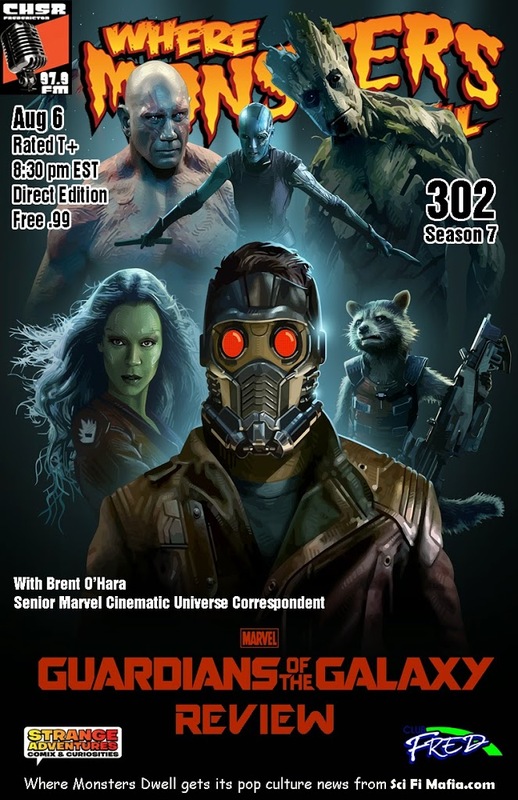 We’ll be joined by our Senior Marvel Cinematic Universe Correspondent, Brent O’Hara, to break it down. Tune in to find out that we thought of the latest offering from Marvel Studios. Listen to episode 283 now! 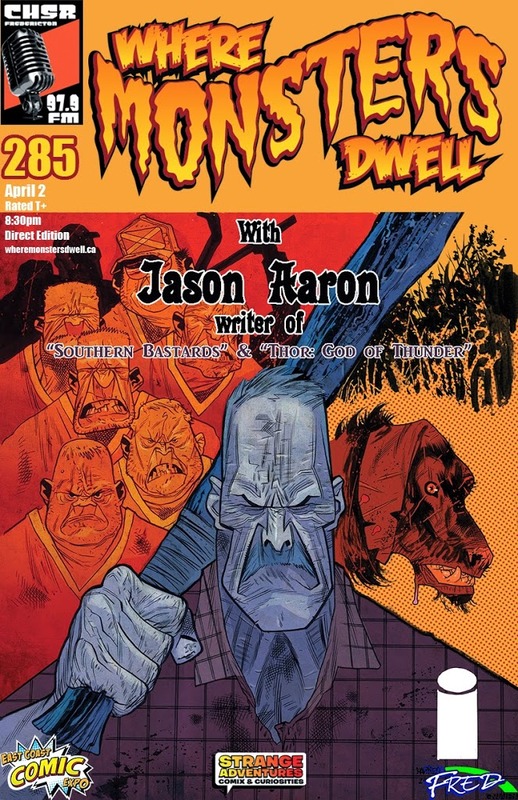 This week on Where Monsters Dwell, as part of our spotlight on local artists, we invite Matt Rogers into the cave. Matt is a graphic designer and is quickly becoming known for his Lego/Marvel/DC mash ups. If you have a question for Matt, post it in our Facebook group or give us a call at 506-452-6056. Listen to episode 277 now! 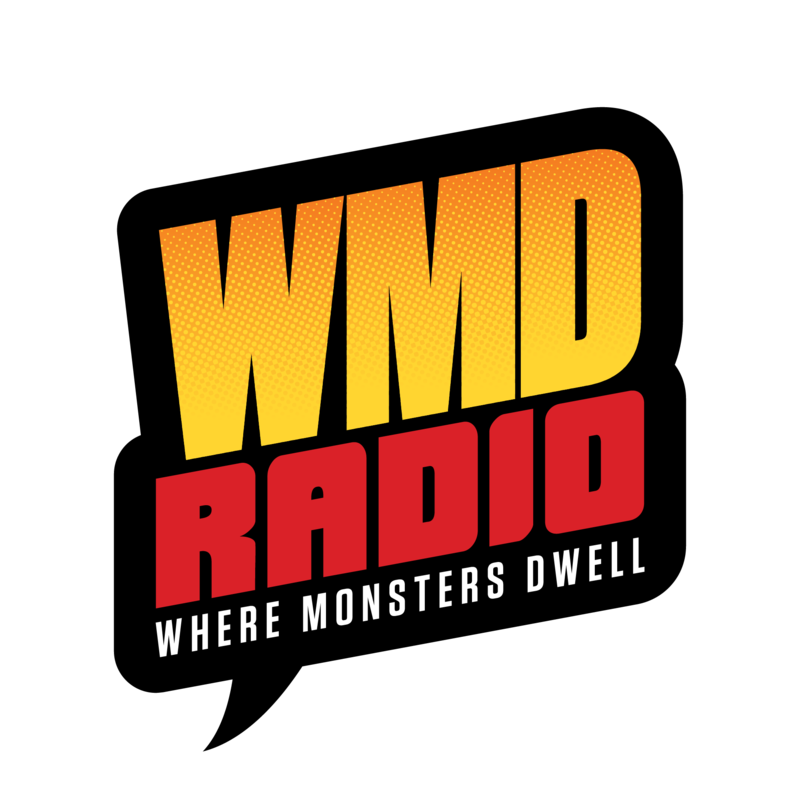 This week on the only LIVE comics radio program that is both Amazing AND Superior, we welcome the scourge of your childhood, Dan Slott to the Monster Cave. You know Dan’s work from such comics as Archie’s TMNT, Ren & Stimpy, She-Hulk and of course from his headline making run as the writer of Marvel’s Amazing, Superior and now Amazing again, Spider-Man. Dan joins us LIVE to chat about his passion for comics storytelling, what it’s like to take on an icon like Spidey and maybe to give us the teeniest glimpse into the future of the wall-crawler. 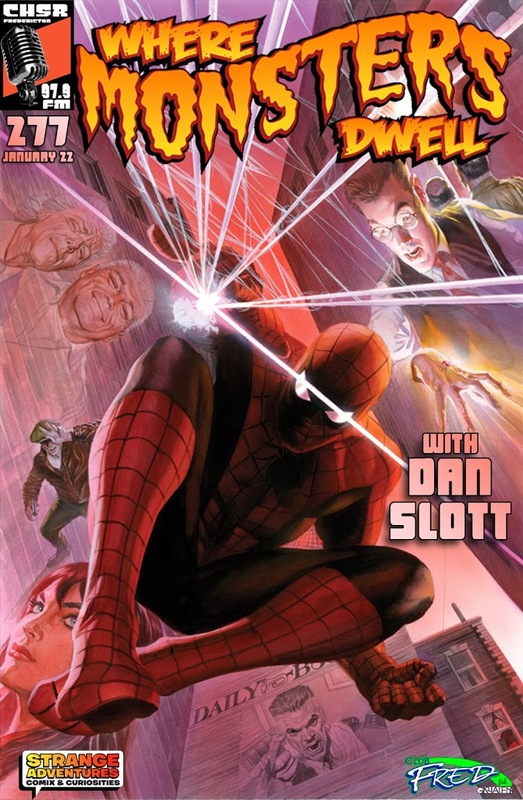 If you have a question for Dan Slott, feel free to post it on our Facebook wall or give us a call at 506-453-4949. Listen to episode 275 now! It’s a brand new year at the Monster Cave and we’re ringing it in in style with our guest Tony Donley! Tony is the creator of Albert Einstein: Time Mason a wicked clever comic the first issue of which was published through a very successful kickstarter campaign last year. 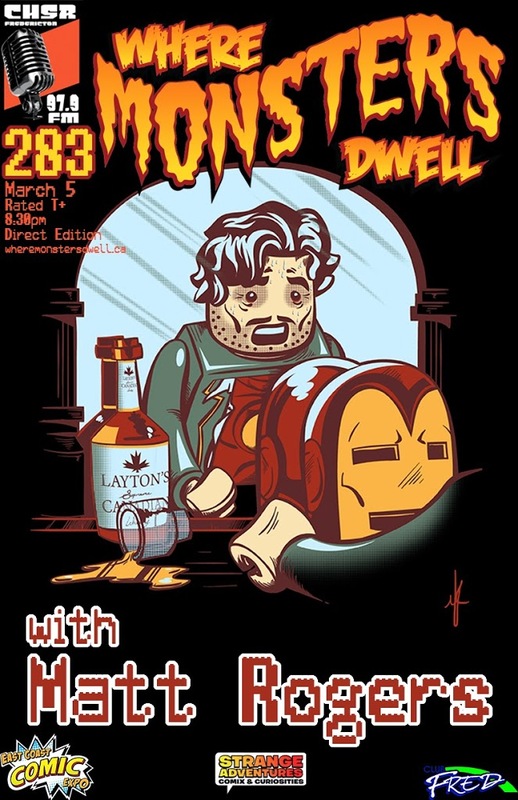 Tony will be joining us to chat about this and much more. 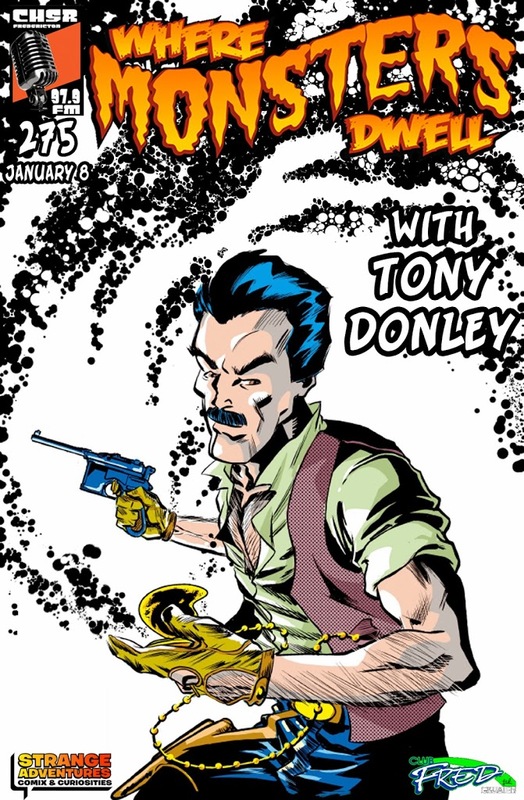 If you have a question for Tony Donley, feel free to post it on our Facebook wall or give us a call at 506-453-4949.